There is a great atmosphere and lovely home type feeling. 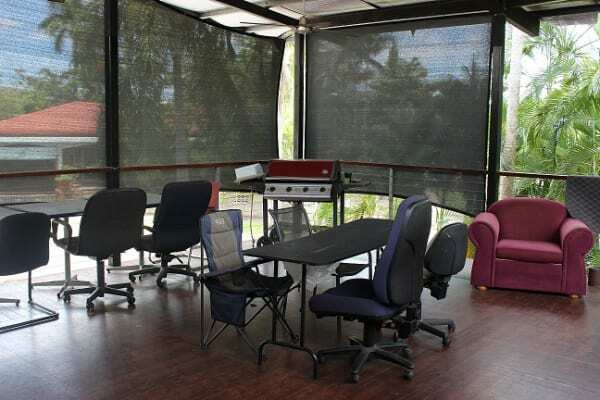 The home is a 3 Bedroom Fully Furnished Elevated Home/Sharehouse. The vacant Bedroom is unfurnished at present; however a Single or Double Bed and bedside tables can be obtained if required for you. 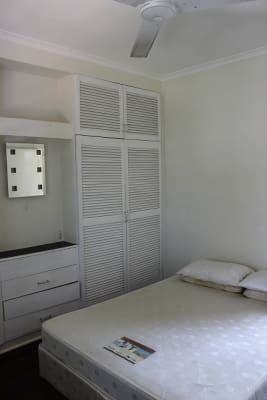 The room is Air Conditioned and fanned with large BIR's, as well as a TV Antenna Port in case you wish to place in your own Flatscreen TV. 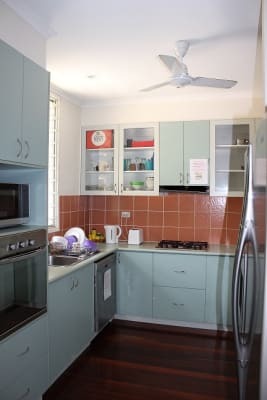 With open plan living area and a large Kitchen with a great outside elevated entertainment verandah to view the lovely tropical surrounds and the tropical storms, thunder and Lightening. It is an Awesome Place, to witness the build up and wet season storms. Underneath the house is concrete storage bunker, and Laundry and plenty of area for a party with tables and chairs. 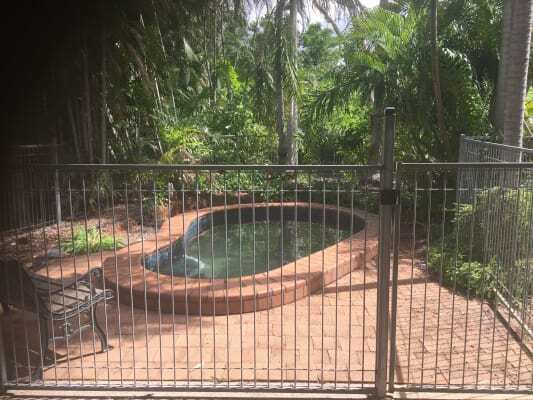 It also has an under-cover Clothesline, great for when their is storms and rain and also a good size Plunge Pool/Spa to cool off each afternoon after work. This has a new Saltwater Chlorinator and large sand filter so it is easily maintained; as well as the Landlord provides an area maintenance man and Property Manager. Her name is Ms Rebecca Pearce, and who also runs her own house cleaning maintenance business, so can assist you if needed.
" 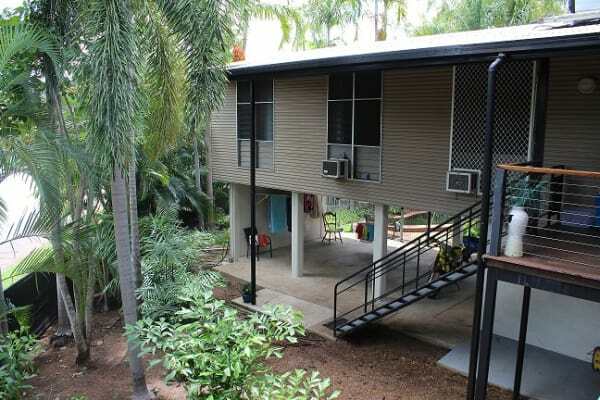 I had a great time living at 25 Darwent Street, Malak. The house mates were really supportive. The place was always breezy and cool, especially when sitting on verandah. 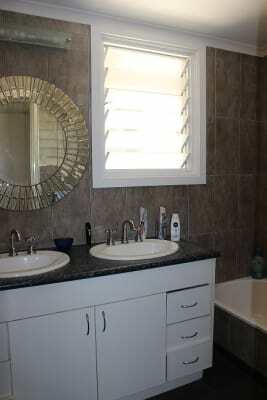 The owner was also available anytime and having internet and kitchen accessories in the house was also helpful." So Please Call the First Room is Vacant and ready NOW for anyone to move in and rent. Prefer 4, 6 or 12 months Leases. The 1st Queen-size Bedroom is is free/vacant for Single Person or a Couple to move in Now. For a Couple just Add $40 to the base rent for a single being $160. So for a Couple = $200 per week. 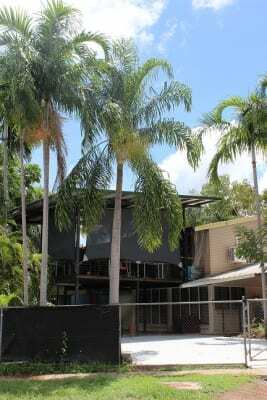 The 2nd Bedroom is rented by a nice young man called Nicholas Smith who works at Casuarina Shopping Centre. He is a lovely organised and cheerful male. Makes the house a homely residence by his kind nature and cleanliness and he likes cooking. 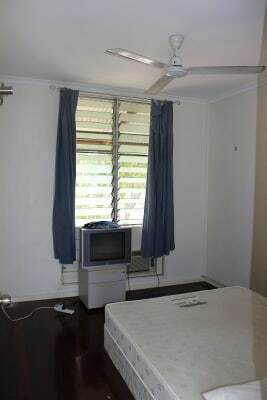 The 3rd and largest King Bedroom is rented by Anthony (Tony) a lovely single man that works locally here in Darwin, and transits back and forth to his work as required. 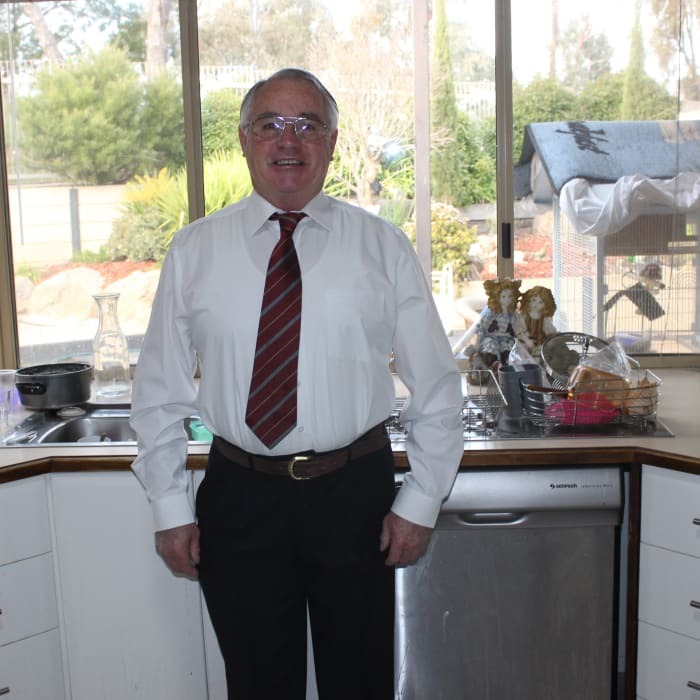 Tony is a clean organised male so he will advise you and assist you as you move in, and assist to manage the Sharehouse with his helpful clean nature. to view social media content. Facebook is only available to Allan Beale's extended network.